Each asset and collection has one or more associated buttons. Some are universal - like Close, Maximize and Pin - while others are specific to a given element - like Play for a video or Reset for a 3D model. The visual appearance of these buttons can be customized. 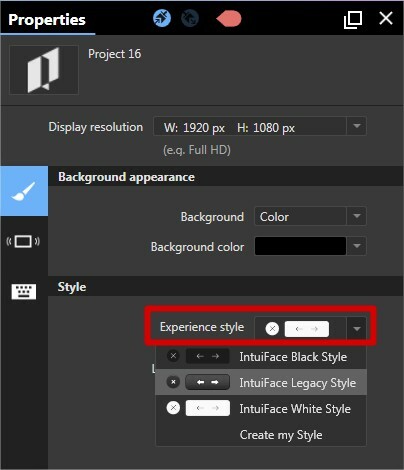 Intuiface users can either select prebuilt styles or create one of their own. The Properties panel will now be displayed, choose the prebuilt style of your choice. The icons used for each button, the colors and shading used for each button, and assorted other design elements can be customized. In the Experience style dropdown list, choose the prebuilt style you would like to be your starting point. 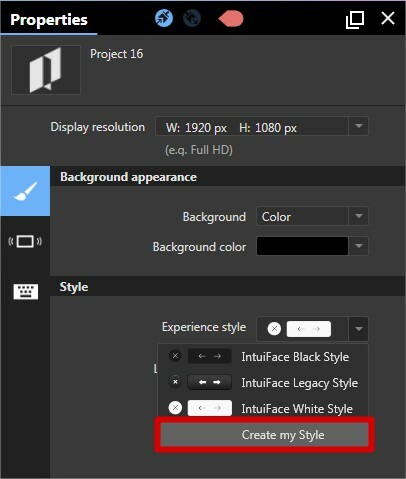 In the same Experience style dropdown list, choose the last option, "Create my style"
For the icon, use an image pointing to the right. This image will be reproduced after rotation by 180 degrees to represent movement to the left. This image will also be used to represent up and down for vertically oriented collections. 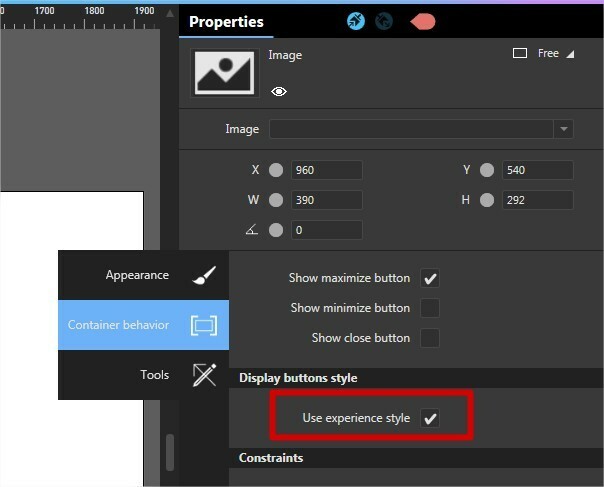 Note: Custom styles, once created, cannot be deleted. Deletion will be added in a future release. Checked color replaces the Fill color for any button with a checked state such as Refresh/Stop Loading for the Web Browser asset. Radius curvature of the space surrounding your icon(s). A value of 0 results in a box with curved corners. A value of 20 results in a perfect circle. Shadow when selected, the overall button casts a shadow. 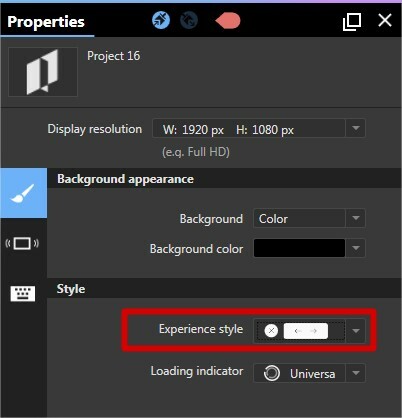 Deselect the "Use experience style" checkbox"
A list of button properties appears. Customize the buttons as needed.